Harry Arter was one of those subdued in midfield in the last meeting with Georgia and is wary of a repeat, despite the new managerial broom. 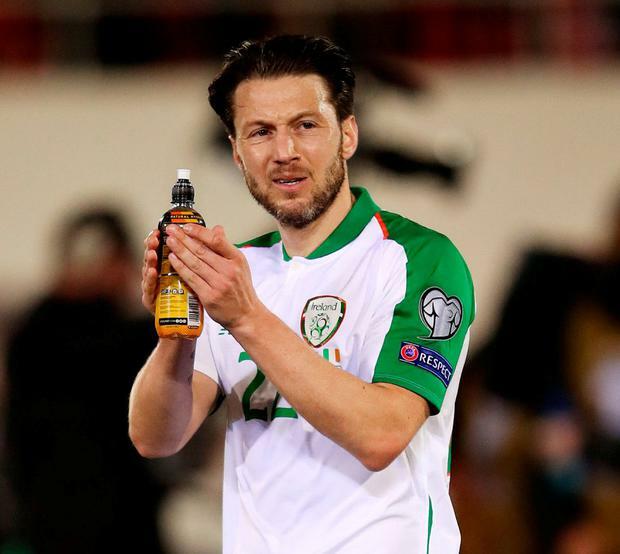 "The most disappointing thing that night was that we got out-played," Arter says. "They completely dominated the game. "I remember coming off the pitch and feeling like we'd just played Man City, and that's not right. "Technically - I've to be careful of what I say, I don't want to be disrespectful to anyone - but I'd say technically they were a lot better than us. "It's important that we learn from that game. The players we were playing against, and it's no disrespect to Georgia, they haven't got the experience of playing in the level of leagues - one or two or a few of them have - but as a group, they haven't got the experiences of playing in the Premier League, the Championship, two top, top leagues. "And we really have to take responsibility for that night. I know I did. I was really disappointed in my own performance. "Collectively, we were really poor. The only positive is that we got a draw out of it, and that's something we can build on from that. At the time, that's what we tried to do. "But it was a wake-up call. To feel like you're playing against a top, top nation, and I'm talking like very, very good that night, that wasn't right for it to be against Georgia. "We know this isn't going to be an easy game, they're ranked 91st and if we played the teams around that rank, it would be a different game. "So I'm sure the gaffer now will have seen those games and will have us prepared for it. It's going to be a tough game."